Grand telegraphic discovery today … Transmitted vocal sounds for the first time ... With some further modification I hope we may be enabled to distinguish … the “timbre” of the sound. Should this be so, conversation viva voce by telegraph will be a fait accompli. Postscript (P.S.) on page 3 of letter to Sarah Fuller (1 Jul 1875). Bell Papers, Library of Congress. 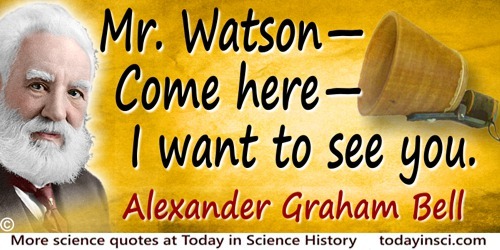 Mr. Watson, please come here. I want to see you. 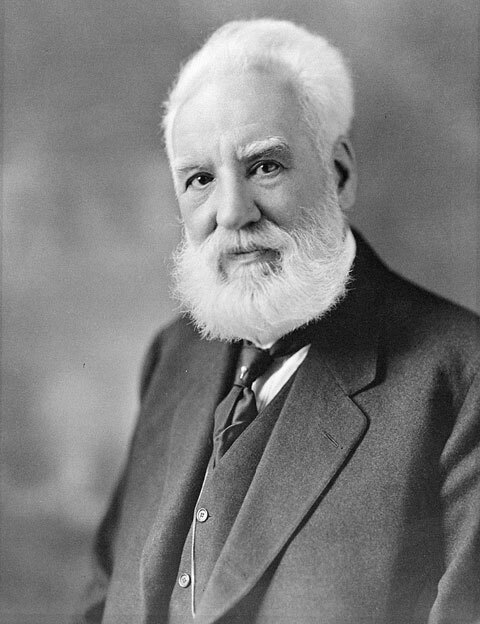 Notable as the first words communicated with his telephone invention. Laboratory notebook, held by the Library of Congress (10 Mar 1876).